Excellent read. Hilarious and informative. OMG - that Pet Sematary cat gets me every time! 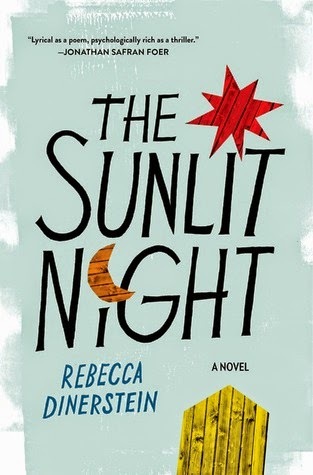 I love the cover of The Sunlit Night...am going to check that out. Creepy isn't it? ;) Sadly, the format of The Sunlit Night (from Netgalley) was all wonky and I couldn't read it. Boo! Pet Sematary looks terrifying, lol. I don't have the guts to read Stephen King. I just started reading The Little Giant of Aberdeen County by Tiffany Baker. I cannot even begin to say how scared I am of Pet Sematary. I don't know how you are reading that. Eek! Lol, it's a wild ride, that's for sure. I think it's doable because of the readalong. I don't know if I'd read his stuff on my own anymore. I'm too chicken! Pet Sematery scared the stuffing out of me. Never did finish it. Eeek! I have to admit that I'm scared of Pet Sematary. I'm almost NEVER scared in books, but "Salem's Lot" terrified me beyond belief and I haven't had the guts to try another of King's horror novels since! Salem's Lot is one of his that I've never read. I don't know how that happened because I used to devour everything of his back in the day. I read an interview with Stephen King. The interviewer asked which was his scariest book. He answered Pet Cemetery. Good luck! 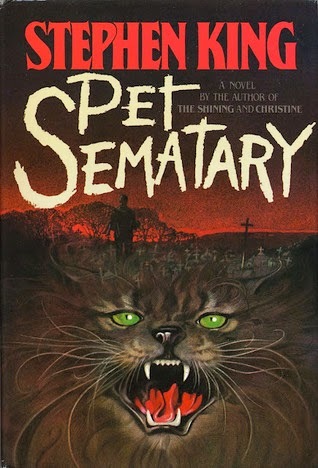 Pet Sematary was one of the scariest books I ever read ...and that cover just adds to the creeps!! 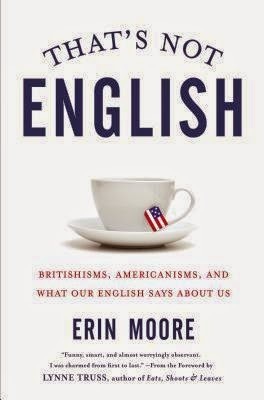 I can't wait to get to That's Not English--it sounds great! And I'm impressed that you're reading Pet Sematary. I'm too scared. You will adore That's Not English! Any word nerd will ;) I say that with all possible kindness. NERDS UNITE! I'm so curious about The Sunlit Night. I can't wait to hear more! I was too. Sadly the formatting of the Netgalley version was so messed up that I couldn't read it. Wahhhh!